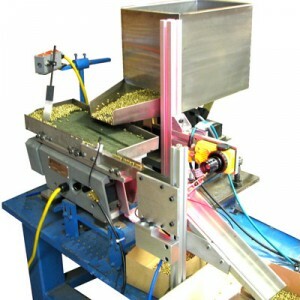 CDS Manufacturing builds Shell Sorters for expended brass ammo. 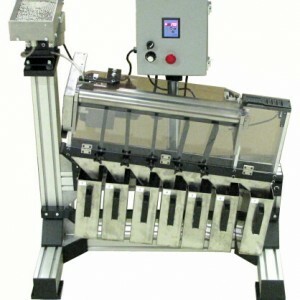 These fully automatic brass sorting machines include a one cubic foot bulk hopper, a variable speed chain drive system, a pair of 72″ long rollers, roller position adjustments and roller position locks. 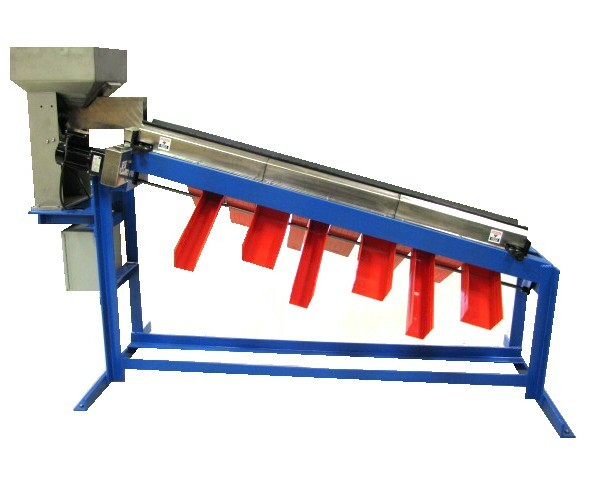 Also included with this expended brass sorting system are adjustable side confinement rails, operator safety guarding, and operator controls including vibratory hopper speed control and emergency stop. 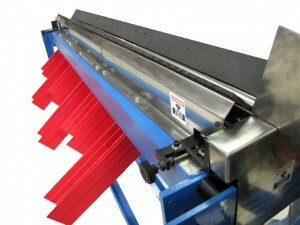 The system is mounted on a welded and painted machine base. Parts sorted by our automatic Shell Sorters are typically collected in the customers five gallon pails. 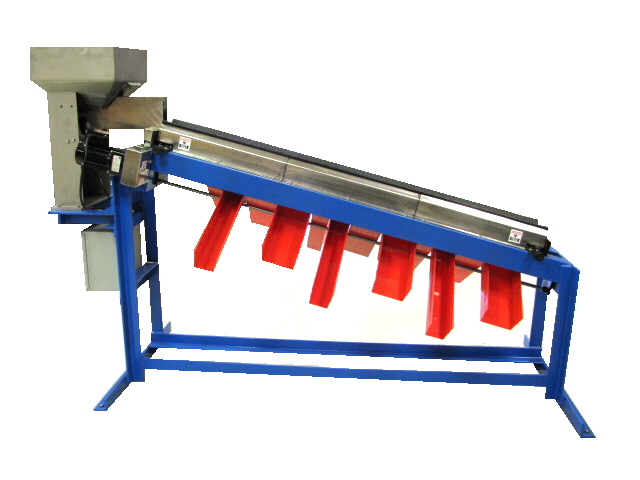 Adjustable and interchangeable fallout chutes allow the operator to position each of the outputs in a predetermined location for sorting. 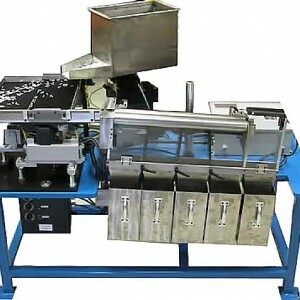 Once the operator has set up the brass sorting system for the desired fallout, the operator loads the shells into the bulk hopper. The bulk hopper supplies expended brass shells to the rollers. 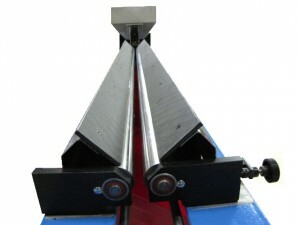 The brass shells will travel the rollers to the predetermined fallout position, where they will fall through the rollers and exit the system via the designated output chute. Contact us today for a free quotation.